The words ‘personal injury’ can have a variety of meanings. In legal terms, personal injury refers to the injuries or harm suffered by a person, be it physically, emotionally or psychologically. Injuries may have been inflicted intentionally or unintentionally. Personal injury may also refer to lawsuits wherein a person is claiming that he or she was injured due to someone’s negligence. A person harmed under these circumstances may claim compensation via Personal Injury Law. Canada's Personal Injury Law, otherwise known as Tort Law, states that when a person is injured due to the negligence or misconduct of someone else, or a product or establishment, he or she can claim for compensation via a personal injury lawsuit. Although, there are a number of situations wherein a person could be injured, not all of these situations will guarantee a personal injury lawsuit. One of the most common causes of personal injury in the Richmond Hill area is motor vehicle accidents, be it by car, motorcycle or truck. Pedestrians and cyclists are also injured by motorists every year in Ontario. Another frequent source of injury are slip and fall accidents and other premises safety lapses. Personal injury is also sometimes the result of medical error due to carelessness, termed medical malpractice. The typical physical injuries that victims suffer are fractures, traumatic brain injury, injuries to the spinal cord, burns, injuries to limbs that result in amputation and in the most extreme case, wrongful death. Trauma or severe physical injury may also result in psychological injuries that affect accident victims, such as anxiety or depression. Monetary compensation, otherwise known as damages, can be sought for both physical and psychological injuries. These damages are also classified into two groups, economic and non-economic. The economic damages refers to the expenses for necessary medical treatments, rehabilitation, property loss, family costs and lost wages. Sometimes accident victims must forgo employment temporarily in order to undergo medical treatment and help the healing process. Some of the most serious injuries prevent victims from returning to the same job or any work for the remainder of their lives. Clearly, significant damages should be rewarded in such cases. Non-economic damages, on the other hand, refer to compensation for consequences that are not easily quantifiable, such as pain and suffering that prevents the individual from enjoying and/or participating in activities that were previously partaken. For example, a judgement of compensation will consider how much pain the victim is suffering, whether the pain is temporary or permanent and how much less they are enjoying daily activities when compared to before the accident. Accident victims may no longer be able to perform household chores, which will clearly have a great impact on their functioning. There may be reimbursement for disfigurement such as significant facial scars or amputation. Essentially, non-economic damages offer reparation for the victim’s diminished quality of life resulting from the accident. Claims and compensation differ and are unique to each victim. Two people may experience the same accident, let's say a vehicular accident, but the consequences will not be the same for both. Thus, the compensation will vary according to how serious a particular victim is injured and how much the injury has affected their ability to function. Of course, every accident victim expects to receive the full compensation to which he or she is entitled. However, if you are the victim, making a computation on your own is extremely difficult; it is best undertaken by an experienced personal injury lawyer who has expertise in the insurance claims process. 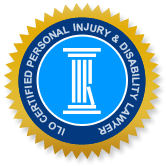 Personal injury lawyers understand the key information required in making a claim and how to best utilize the input from medical experts, accident reports, personal expense claims and other critical information necessary in making a successful claim. As well as expertise and experience in personal injury claims, clients are more satisfied and typically recommend a lawyer who is also compassionate to their unique situation and whom they can trust to do their best of the client’s behalf. In Richmond Hill, the Injury Lawyers of Ontario (ILO) are members of a group of Ontario lawyers with high expertise in personal injury claims. Many accident victims feel a natural hesitation in hiring a lawyer with whom they may not be familiar. The Richmond Hill personal injury law team offers a free consultation to give you an overview of the claims process, and to allow you to get to know us and the approach that would be taken to secure compensation for you. ILO personal injury lawyers in Richmond Hill will handle your case with compassion because they understand what you are going through as a victim. ILO lawyers believe that accident victims need foremost, to be able to focus on their recovery, and our goal is to remove the stress of the claims process for our clients. We will keep you abreast of all developments in your unique case and share details that enable you to make an informed decision. As members of the Richmond Hill community, the ILO law team wants to aid you in your recovery and achieve the best possible outcome for your case.